A LoyaltyLobby reader forwarded me an offer that he had received from UK based discount portal offering 50% off IHG stays between December 1 – February 28, 2017. Members must book minimum five per the T&Cs (only three by the rate rules though) days in advance or by December 15, 2016, and the stay length must be at least two nights to enjoy the discount. Note that the discount is labeled as “Health Service” one based on the UK portal promoting deals for the sector. These are open for all, however. The discount is valid for stays on Friday, Saturday and Sunday nights. Some hotels, however, may offer midweek availability too during the softer occupancy periods. IHG Rewards Club has traditionally had pretty good winter sales for stays in Europe when the occupancy rates fall off due to year end holidays and drop off in business stays. 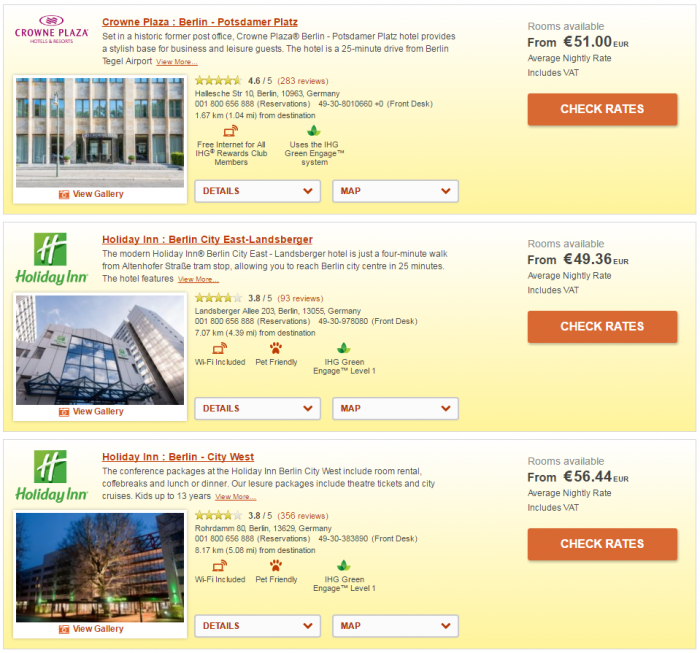 The T&Cs don’t state that this rate would not earn IHG Rewards Club points. I remember that some readers, however, did have challenges to get points posted for heavily discounted rate such as this in the past. Seems that whoever wrote the T&Cs for this promotion merely copy/pasted them from 2015. February 29 doesn’t exist in 2017 regardless what the IHG says. The T&Cs state that you may be asked to present the voucher above at the time of checking in. I have never heard any property actually requesting it. 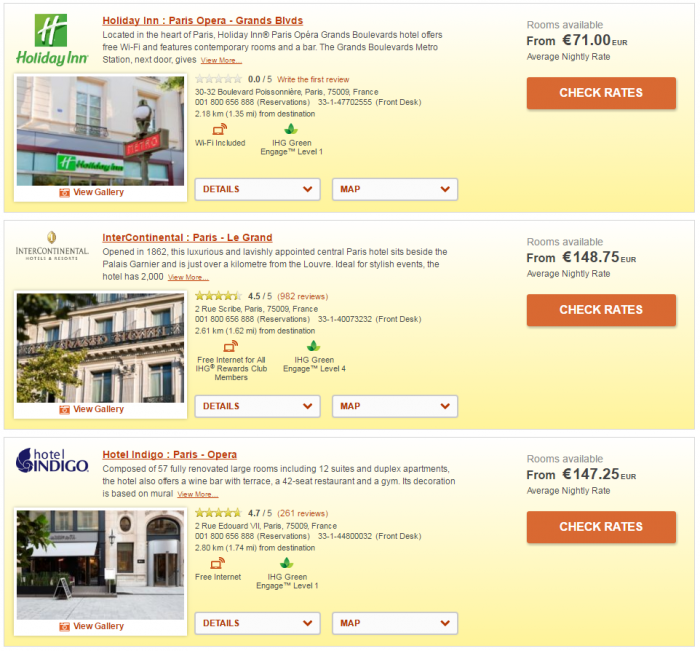 IHG has similar PARTNER promotions going on with companies such as MasterCard. 50% off Best Flex represents a saving of 50% off our Best Flexible rate per room, per night for two adults sharing a standard double/twin room (inclusive of VAT). Bookings must be made at least 5 days in advance of first night of stay. Member ID or IHG voucher will be required at check-in as proof of eligibility for this offer. Participants must not send, circulate or distribute the offer to ineligible third parties, or otherwise allow them to make use of the offer. By taking advantage of the offer, all participants confirm that they accept these Terms and Conditions. Offer only available at participating European InterContinental® Hotels & Resorts, Crowne Plaza® Hotels & Resorts, Hotel Indigo®, Staybridge Suites®, Holiday Inn® and Holiday Inn Express® hotels. Offer available for reservations made between 14th November 2016 and 15th December 2016 for stays in the period 1st December 2016 to 29th February 2017. Room only rate for InterContinental® Hotels & Resorts, Crowne Plaza® Hotels & Resorts, Hotel Indigo®, Holiday Inn® and Staybridge Suites®. Breakfast included for Holiday Inn Express® hotels. Previous articleChicago O’Hare Airport Might Experience Service Worker Strike Over Thanksgiving Weekend – Monitor Your Schedule!